While it’s been confirmed that the Galaxy Note 9 unveiling will be taking place on August 9, Samsung is yet to make any official comment in regards to its upcoming tablet lineup. And, while many rumors have pointed towards an announcement alongside the Galaxy Note 9, the latest information obtained by AndroidHeadlines suggests this may not be the case. 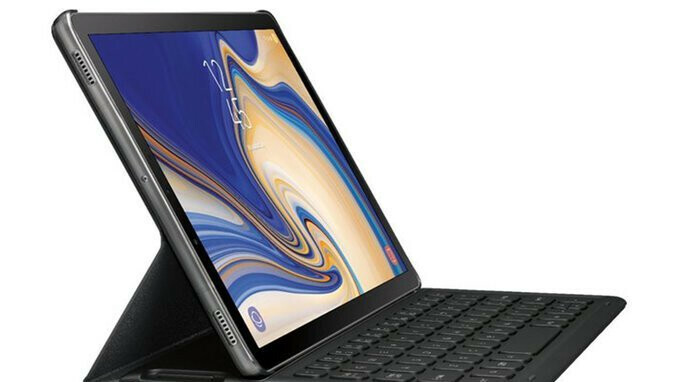 Although Samsung is reportedly working on a total of four new tablets, the company is said to be planning a separate event on August 1 that will be dedicated to its next flagship model, the Galaxy Tab S4. For those unaware, while the brand’s next tablet will include a 10.5-inch display just like its predecessor, Samsung is said to have adopted a new bezel-less design that will reduce dimensions significantly, something Apple is expected to replicate with its 2018 iPad Pro models. Moreover, on the internal side of things, a Qualcomm Snapdragon 835 will reportedly be powering the device and will be coupled with 4GB of RAM and 64GB of internal storage. A 13-megapixel rear camera and a separate 8-megapixel selfie sensor are also set to be included. And completing the package will be a large 7,300mAh battery and Android 8.1 Oreo straight out of the box with the latest version of Samsung Experience on top. At this moment in time, it’s unclear why Samsung has reportedly chosen to announce its flagship tablet separately. However, if the information is accurate, it will mark the first of three expected press events in August – an IFA event is expected to take place towards the end of the month and will presumably see Samsung announce its remaining three tablets.